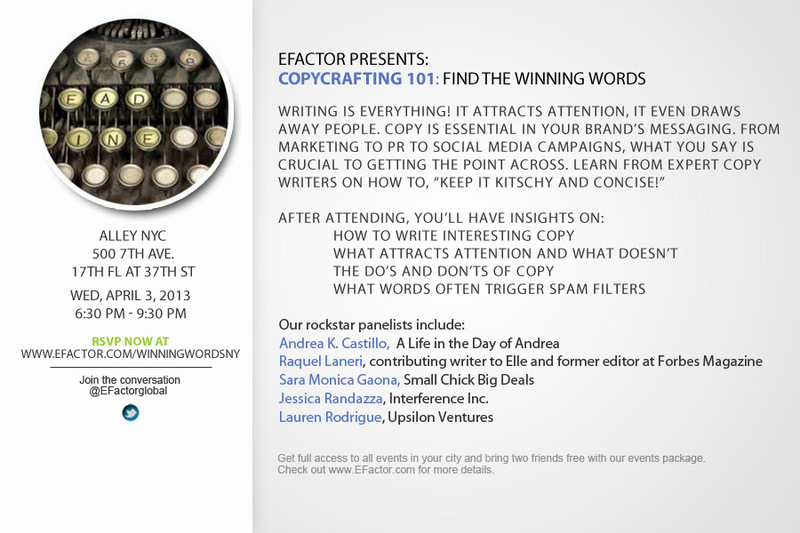 Having catchy copy if crucial to any successful blog, so I am honored to announce that I will be speaking at Copy Crafting 101 in NYC next month at Alley NYC. I’ll discussing the importance of having good, creative copy when it comes to social media and having constant site content! To find out more details & RSVP, click here. This entry was posted in Sara Monica, SCBD, SCBDExclusive, Small Chick Big Deals and tagged copy crafting 101, event, nyc, sara monica, scbd, small chick big deals, speaker by smallchickbigdeals. Bookmark the permalink.